Hartley’s School Buses of Rugby, North Dakota, was started by Hartley Hageness in late 1969. He got his start in the school bus business by taking over some school bus routes for Rugby Public School. A dealership for a small line of buses soon followed. 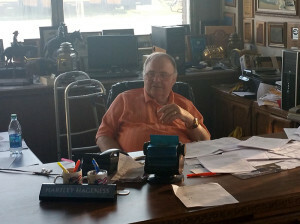 Hartley acquired the Blue Bird dealership in Montana and North Dakota in 1973 and still runs a number of school bus routes in both states today. Along with the location in Rugby, Hartley’s also has locations in Kalispell and Helena, Montana, which provide buses and drivers for routes in Montana, as well as complete bus repair work. In addition to the school bus business, Hartley’s School Buses, Inc. also provides a bus charter service.